I was proudly invited by the sweet Meg Campbell, from Destiny USA (Facebook, Twitter), to write a special blog post on my favorite holiday memories/traditions to participate on their Unwrap Your Memories Campaign. I have loads of cherishing memories from my holidays with my family and friends, but the one I spent in England while living there for my master studies was quite unforgettable. Besides studying hard, I also worked part time as a waitress at a café and at an Italian restaurant. That was from 2009 to 2010. I was so lucky to meet a bunch of great friends from a couple of other countries, with whom I learned a lot and exchanged wonderful experiences that I’ll take with me forever. 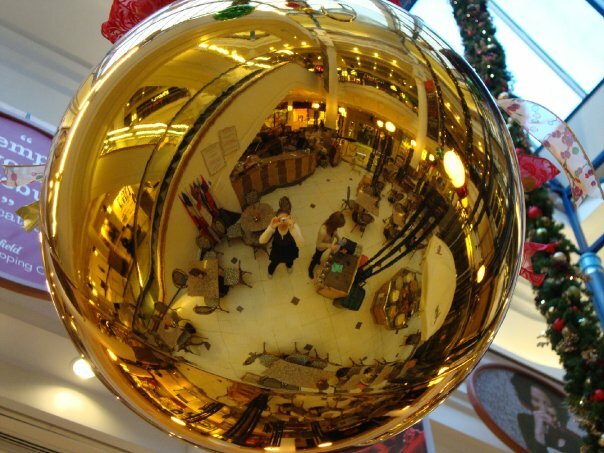 I’ll never forget my shifts at the café at the mall, with background Christmas songs or live Christmas carols, gorgeous Christmas decorations with shiny green and yellow balls hanging from the ceiling, and the lovely English customers bustling in carrying bags full of presents for their loved ones. 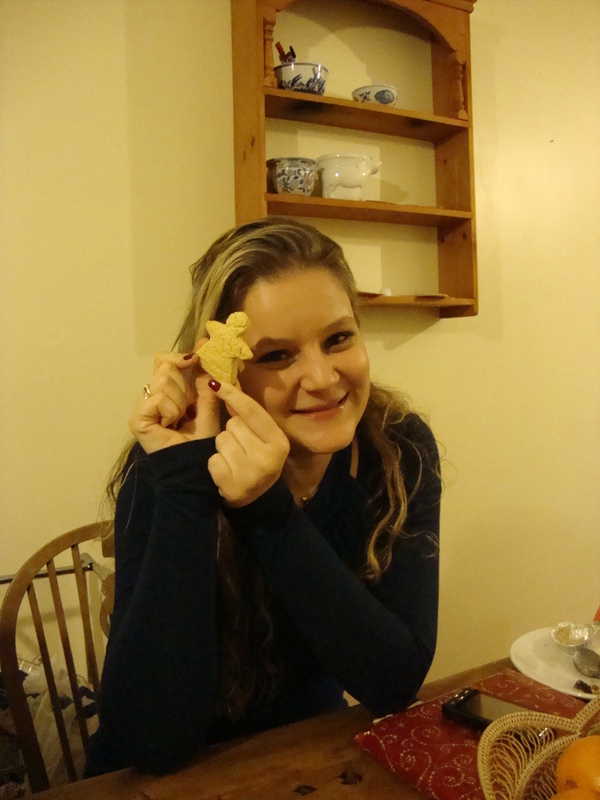 After calling it a day at the café, my Christmas Eve dinner was among dear friends from Poland, Italy and Colombia. We ate traditional food from our home countries (e.g. pierogi, from Poland, and tiramisù, from Italy), exchanged lovely presents and pulled Christmas crackers, wearing the golden hats that were inside for the rest of the evening. On the 25th, I proudly managed to roast a turkey for the first time! 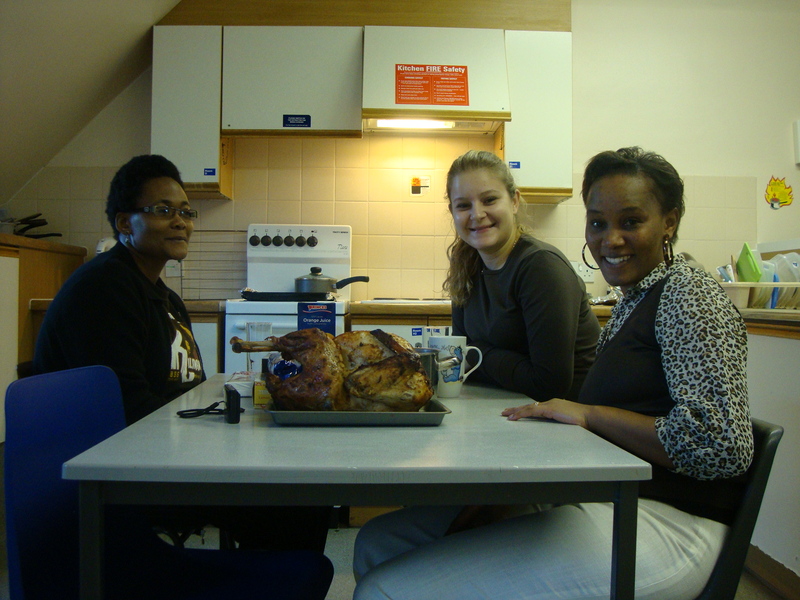 After going to mass early in the morning, I enjoyed a Christmas lunch with two friends from Tanzania who lived with me at the dorm. They also prepared ugali, which they usually eat with their bare hands (that’s why a woman from Tanzania will only paint the nails of one hand, leaving the one they use to eat clean). 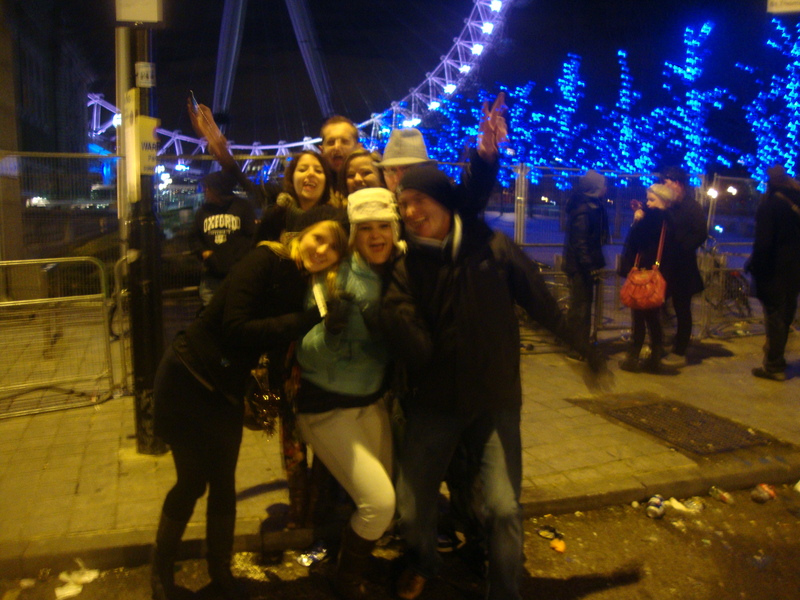 On New Year’s Eve, some friends from Poland and Italy, and I went to London to see the fabulous fireworks. However, we never got to the river Thames and couldn’t actually see them! lol The place was crowded and the police were blocking the streets that would lead to the river. Nevertheless, we had so much fun roaming around London streets, taking pics with strangers, laughing our hearts out and celebrating the brand new and promising year. Before taking the train back home, we stopped for a hot dog, and it magically started snowing! It was so cool! When you come from a Southern country where people usually spend their holidays at the beach, wearing shorts, tank tops and flip-flops, being able to get the real holiday feeling with snow is something special. Being away from home, especially during holidays, is really difficult, but the friends I made and the moments I spent with them turned them into the most special holidays I’ve ever had. How Many Things You Love Can You Share in 10 Minutes? This post is a challenge I gladly accepted from Alina Cincan (Inbox Translation). As you can see on her post, she was inspired by Olga Arakelyan’s (Your Professional Translator) idea, posted here. Olga, in turn, got the idea from Judy Lee Dunn’s post “Can You Name 99 Things You Love in 10 Minutes?“. After listing the things she loves, Alina turned the whole idea into a tag game and challenged some friends of hers, including me. 1. Translation (I know: duh?). 2. Languages (especially British English). 3. Japanese food (especially salmon sashimi). 8. Social media. I love posting things and managing all my social media at the beginning of each day. And I do have a favourite one, Twitter. I guess it allows more interactivity and networking. 9. Watching series. I’m currently addicted to Smallville. I’ve bought the box with all the seasons, and spend my free time watching several episodes in a row. I also watch The Vampire Diaries, and still have to watch Dexter‘s last episode. 13. A good wine (I’ve learned to love the Italian ones better). 15. Going to the movies (with a huge bowl of popcorn). 16. Hanging out with friends. 17. My nephews. I have two: a 5-year-old one, Victor, and a 5-month-yet-to-be-born one, Pedro. I’ll be Pedro’s godmother. 19. Spending my summer vacation on the beach (especially the ones in Northern Brazil). It was so much fun! Thank you a lot, Alina, for turning this into a fun tag game and inviting me! How about you? Why don’t you also accept the challenge and write the things you love in 10 minutes? The blog Love Your Translator is celebrating the 24 days in anticipation of Christmas with an intercultural Advent calendar on their Facebook page. Starting on December 1st, every day they are posting a Christmas tradition from one country – it can be a short story, a recipe, or a picture of how people celebrate Christmas around the world. I decided to take part in it and share Brazilian traditions. I must admit I had a bit of a hard time trying to think on something particularly Brazilian. We celebrate this time of the year in a very similar way as the US and the rest of the world. We decorate our houses and the streets with Christmas trees, Santa Claus (called Papai Noel), and even “snow” (since it is summer here, we have to improvise); we exchange gifts and have a great dinner on Christmas Eve with the family, in which turkey is also present. However, we do customize our dinner with plenty of fresh fruits and rabanada (Brazilian-style French toast – find the recipe below). Besides, at this time of the year, supermarkets are packed with panettones (a type of sweet bread loaf originally from Italy). 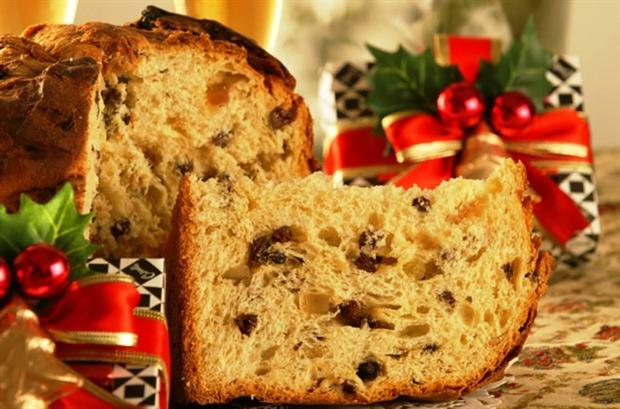 They are most commonly made with candied fruits and raisins, but you can also find chocotones (made with chocolate, instead of candied fruits). 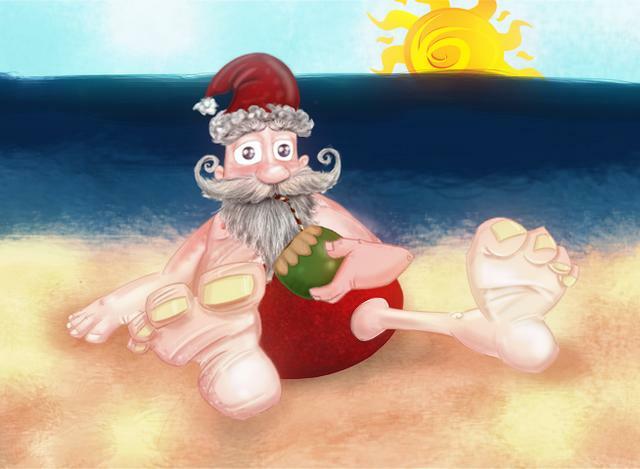 Brazilians also like to play Secret Santa (amigo secreto – secret friend), in which members of a group (at work, or amongst friends or family) are randomly assigned a person (by a raffle) to whom they should buy a gift (the price range is usually established). The entire process is secret, and people only find out who their secret friend is when the gifts are exchanged, usually at a get-together – if not on Christmas Eve. We also have some variations of the game. One of them is secret enemy, in which we poke fun at our friends giving them something unusual, exotic and funny that she/he should never use. Another is amigo-ladrão (thief-friend), in which you do not know who your secret friend is: participants buy generic gifts that can suit both men and women. The raffle is conducted at the get-together, and you can choose your gift from the pile – without unwraping them though. If you do not like what you’ve got, you can “steal” gifts from those who already have theirs. The problem is, if you are one the first, you run the risk of having your gift stolen not only once, but several times. It’s so much fun! Cut bread into 1-inch thick slices on the bias. You should get about 16 pieces. If you have more, adjust other ingredients to compensate. Whisk together the eggs, condensed milk, whole milk, vanilla extract, and salt until well mixed. Coat bread slices on both sides in the egg mixture, and place coated bread in a shallow pan or pie plate, add any remaining egg mixture to it. Cover with press and seal wrap or foil and place in the refrigerator to soften overnight. 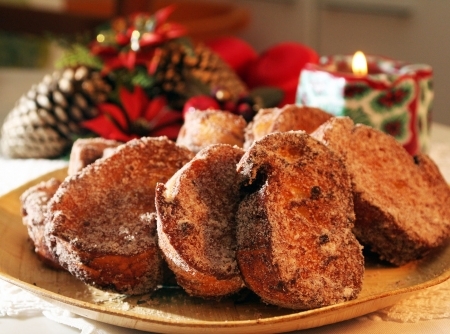 Mix together sugar, cocoa and cinnamon in a small shallow bowl big enough to hold one slice bread. Heat oil in a deep skillet to about 2-inches until it reaches 330F (use a candy thermometer to check). Lift the bread from the egg mixture until it stops dripping, and pan fry the pieces in the skillet on both sides until golden and crispy. Keep the oil hot while frying (check temp), raising the heat if needed. As the pieces are removed from the skillet, drain on paper towels then dredge in the spicy sugar mixture. Did I forget any other Brazilian tradition? Would you like to share your family/region/country’s tradition? Please feel free to comment. I would love to hear your stories!